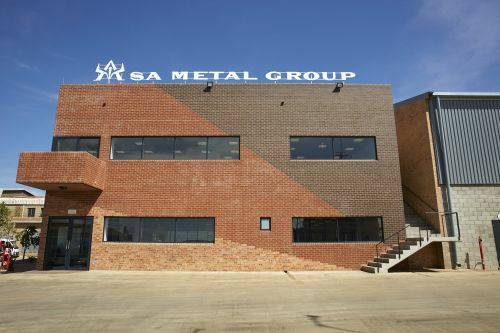 Elandsfontein, Germiston 900m2 office building and 1250m2 warehouse. The brief from our client was to design a robust, spacious and light-filled environment for their new head office. 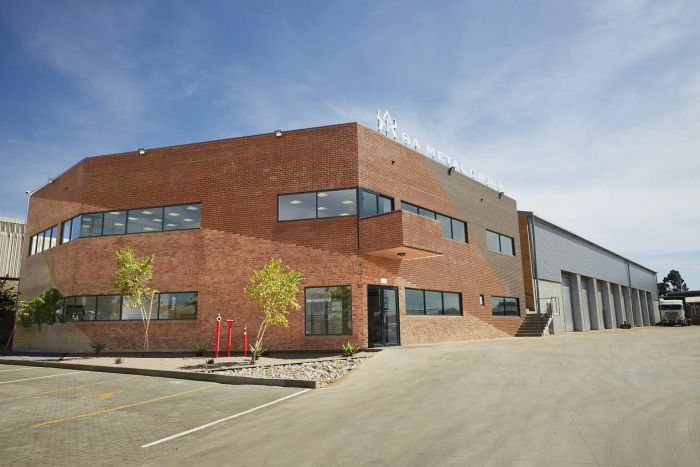 We chose flush jointed face-brick for the building envelope for its low maintenance characteristics. We used special 30 and 60 degree bricks to achieve the seamless chamfered shape, and this along with a mix of sloping coloured diagonal bands (five different shades of facebrick were used) gives the building the impression of a monolithic sedimentary rock. The internal spaces are configured around a central atrium which is naturally sky-lit. The building has been stringently sound-proofed as it is set in a noisy scrap yard.